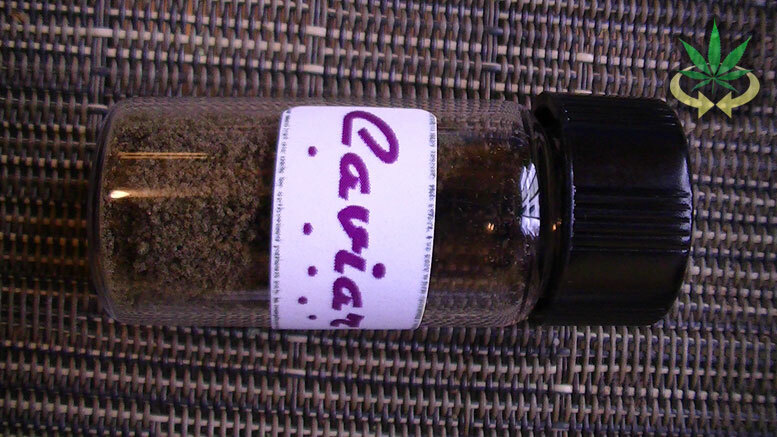 Caviar Hash from ZZZ in Hollywood and Westwood Caregivers is discriminatingly the iLLest hashish; pack some in yo piece. Made with the ludicrous chronic known as Black Diamond, a Blackberry x Diamond OG cross, the Caviar will give you that euphoric, healin fealin of a full body fade! This uniquely textured medication is packaged in a small glass vile with a black plastic lid that twists on and off. There is a label that says Caviar. Unlike most hash, which usually comes in small chunks, slices, or loaves, this kind is chopped up into tiny bits. 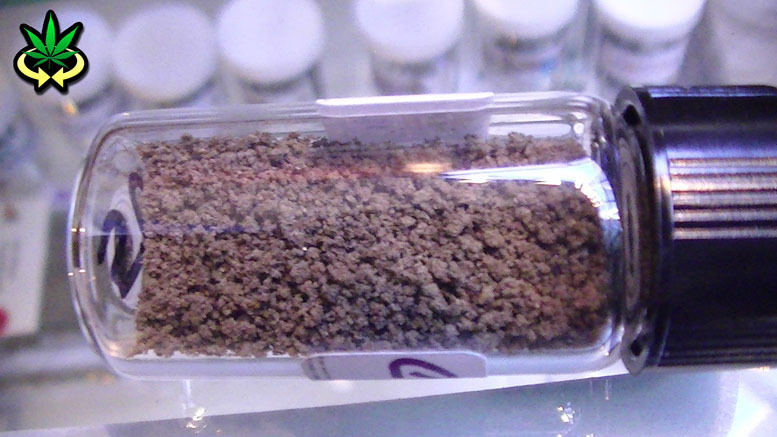 Dark brown in color, bitty and grainy, this concentrated cannabis looks more like fish eggs than ordinary hash, thus the classy name for this upscale medication. This distinguishing consistency actually makes it easier to break up, spread out, and pack on bowls. The taste and smell are phenomenally hashy, spiky, sharp, and sweet. The flavor of the Caviar always adds a noticeable difference when used with other medication--a flavor to savor. I recommend this medication for those seeking to relieve pain, stress, anxiety, and basically for anyone who wants to kick back and chill. This is the last of a series of reviews of medicine that was returned by the police after I was charged with a felony for possession of concentrated cannabis and marijuana (charges were dismissed in court). 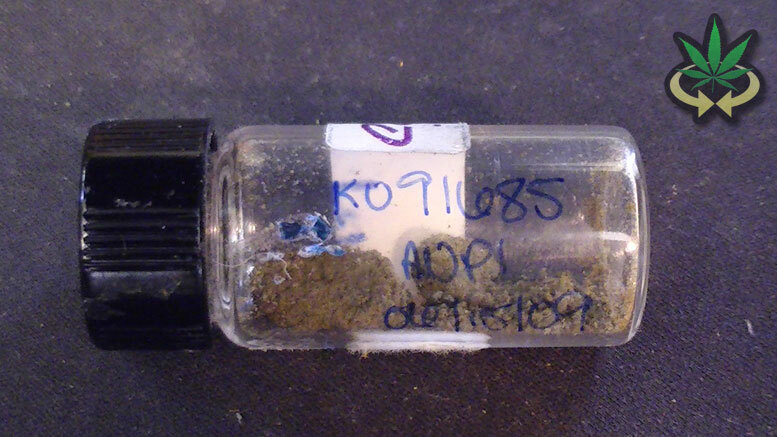 Regardless of your recommendation and patient status, the cops might still try to charge you with a felony and take you to jail if they catch you with this or other concentrates. Had I known, I would have ate the tiny amount they caught me with while I was stuck in the unavoidable DUI checkpoint line. If you are feelin iLL and are lookin for a birds flyin HiGH sort of fade then I definitely recommend you stop by ZZZ and get some Caviar Hash and Skywalker OG. This ish is not cheap, but they do have a consistent supply, so make an occasion out of it! Blaze on!